Is Retiring in Belize the Right Choice For You? 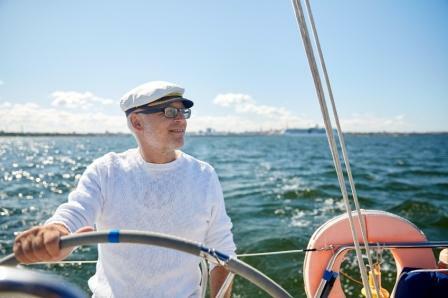 Choosing the right spot for retirement is a complex decision, and even if you aren't quite yet ready to retire, you might already be considering all the options. One of the destinations you may have come across is Belize. Located in Central America, Belize offers relatively close proximity to the United States. In recent years, Belize has become increasingly popular among retirees and investors who are purchasing property to prepare for their eventual retirement. Find out whether doing the same, and living in a place like the Grand Baymen, could be the right choice for you. If you are like many retirees, one of your biggest concerns is probably cost. Reaching retirement is an important milestone, and one you deserve to celebrate with the lifestyle you deserve. However, in many parts of the world it is simply too expensive to do so. If you’re concerned with how to make your fixed retirement income stretch further and give you the dream life you crave, then Belize might be the place for you. To start, real estate in Belize is inexpensive. Whether you are looking for a condo or a single-family home, the affordable cost may surprise you. Even after the purchase of a retirement property, it’s the day to day living that continues to be affordable. If you’re living on Social Security or a limited pension plan, you can still afford to dine out at local restaurants, drink with friends at charming bars and enjoy your hobbies and passions without financial worry. Although the beaches, warmth and beauty of Belize are certainly a big draw for travelers, some retirees worry that living there full-time won't offer enough in the way of amenities or socializing. Thankfully, that couldn't be further from the truth. At the Grand Baymen, for example, you'll be surrounded by like-minded individuals, many of whom come from the United States and other destinations around the world. You could spend time with these new friends and neighbors at the San Pedro Fitness Club, while swimming laps at the onsite pool, while strolling in the gorgeous white sands of the nearby beach, while taking a group yoga class overlooking the ocean or while dining at the great onsite restaurants. During retirement, having access to quality medical care is important. Whether you are dealing with specific medical issues currently or you just want to be prepared for any eventuality, Belize will have the care you need. Many local physicians and medical professionals speak English and were educated abroad, and you will find private clinics as well as major teaching hospitals nearby. In the event that you want a medical flight back to the United States for treatment, that can also be arranged. Keep in mind that in Belize, medical care is topnotch but the costs are a fraction of what they might be in North America. Last, but certainly not least, you should think about what kind of climate you enjoy most. Belize has a rainy and dry season, but the temperatures remain warm throughout the year. To top it all off, Belize offers gorgeous beaches, lush greenery and some of the best sunsets you can imagine. If you enjoy warm weather, stunning scenery, affordable quality medical care, friendly communities with wonderful amenities and an inexpensive cost of living, then there is a good chance that retirement in Belize is right for you. Find out more about the joy of living in Belize.